Source: Prentice Hall/Pearson Education. Image provided courtesy of IO. 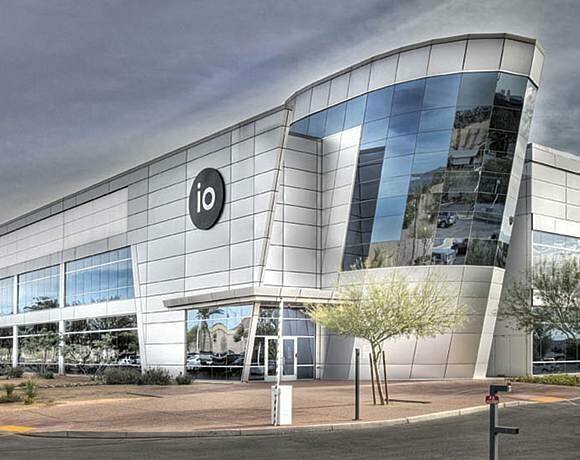 IO's colocation facility in Phoenix, Ariz., employs time-shifted cooling to save millions of dollars per year in data center operating costs. Originally, this building housed a water-bottling plant, but it was converted to a data center three years later. Like eBay's Project Mercury, IO's data center uses free cooling and takes advantage of Arizona's cheap energy and water. It also employs what it calls time-shifted cooling. At night, when temperatures are cooler and power is cheaper, the chillers run and freeze a glycol and water mixture so that, during the day, round ice balls chill the water in the heat exchanger.